I got this in the mail….. When you sell a home, condo or a tract of land and that property had a lien on it that was paid off at the time of closing, the title company will send the lien holder the payoff amount and a document called a Release of Lien. By the lien holder signing this document, they are acknowledging that they have received payment in full and that the person who owned the property is no longer in debt. The lien holder will sign this document and send it back to be filed of record. Most of the time the Release of Lien will be sent back to the title company for recording. At the closing the title company collected the recording fees for this release, so once the have received it they will forward it to the county clerk for recording. Once the county clerk’s office has recorded this document and scanned it into their system they will return it back to the title company. This process normally takes 3-5 business days. Once the title company has received it back from the county clerks they will mail it out to the seller for their records. You can hang on to this document if you like or you can shred it with your other important documents since there is a recorded copy with the county the property is located in. There is a chance that the lien holder will mail the release of lien directly back to the party or parties that they had the note with. Don’t panic if this happens, if you receive a release of lien there are two things you can do. You can contact the title company, letting them know you received the release of lien. They will advise you to bring the release to them since they have already collected the recording fee and they will handle getting it to the county clerk for recording. The other thing is you can take it directly to the county clerks office yourself for recording. Most of the time that you will have to take it to the county clerks for recording without the title company is because you have paid your property, whether it was early or by the terms of the loan agreement. If that is the case you will may want to put that release in a safe place with other documents, you have such as your warranty deed or policy from when you purchased the property. A reason to hang on to it is simply because when you go to sell the property the county clerk may have mistyped your name or indexed the release incorrectly, so the title company may have a hard time finding the release. If that’s the case, then you can provide them with the documentation to prove the lien has been paid in full. If you have any questions about anything you receive in the mail concerning your property, please let us know. 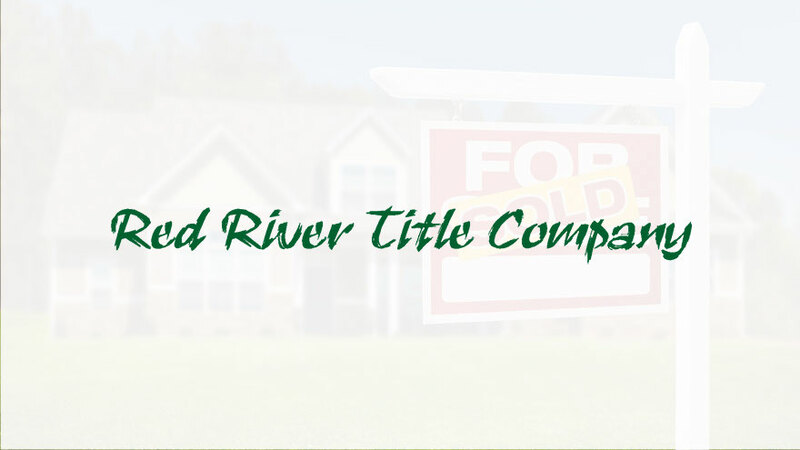 We at Red River Title look forward to working with you and of being of service.